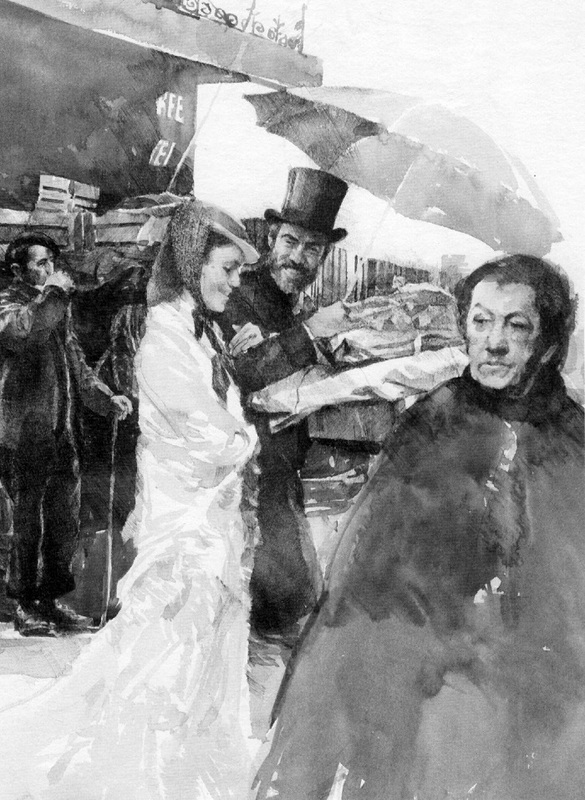 This piece shows tomboy Jo in a chance meeting with her professor Mr. Bhaer on a muddy street in the rain. A young woman of her time, Louisa May Alcott's character fears her joy might appear unmaidenly. It was fun to capture the moment when Mr. Bhaer takes Jo's bundles, holds her arm as they share his umbrella.